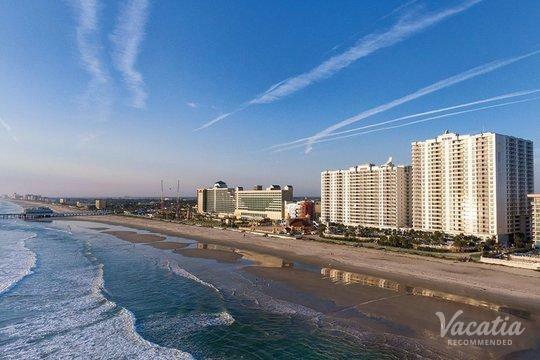 Daytona Beach is world-famous for the Daytona 500 and its Spring Break culture, but there's a lot more to this iconic vacation destination. Discover all the iconic sights and hidden gems of this legendary retreat for yourself. 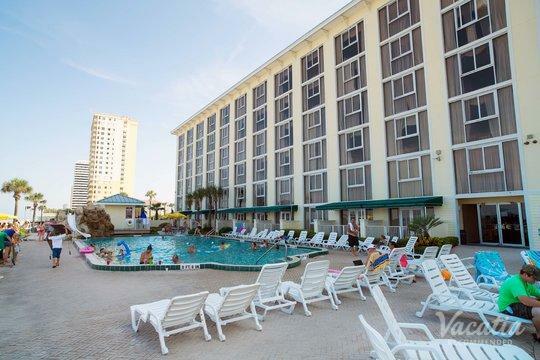 The first thing you'll need to do, however, is look online for Daytona Beach resorts with kitchens. 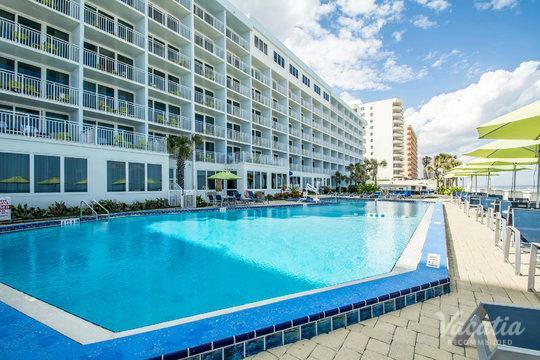 This kind of accommodation allows you to cook some of your own meals in a homey setting, and Vacatia's comprehensively organized listings make it easy to sort through all the options. If you have any questions, our Guest Care team is always available via online chat. 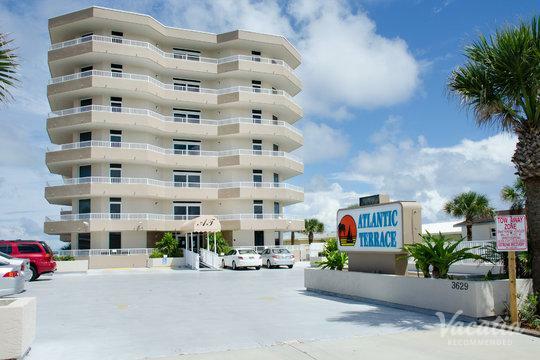 All of our Daytona Beach hotels with kitchens have been highly recommended. Our customers return time and again because we deliver consistently excellent service, and you'll have the peace of mind of knowing exactly what to expect before you leave home. Booking one of our Daytona Beach hotels with a kitchen gives you the opportunity to prepare your own breakfast, lunch, or dinner. You'll be able to save on food costs and enjoy the comforts of home. Our resort residences offer you your own living room, dining room, and in-unit washer/dryer, as well. You can hang out with your friends and family at your leisure, and you can do a quick load of laundry to keep things light and fresh. 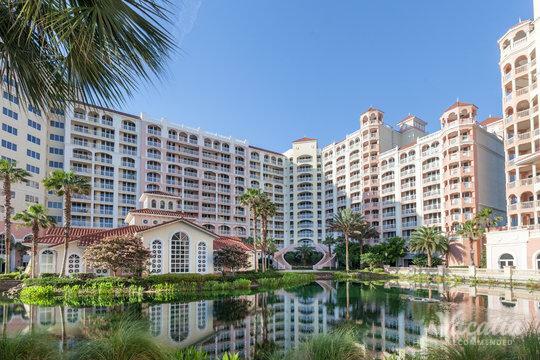 You'll also get all the services and amenities of a high-end resort: daily housekeeping, gourmet on-site dining, fun pools and waterslides, concierge check-in, relaxing spas, and more. 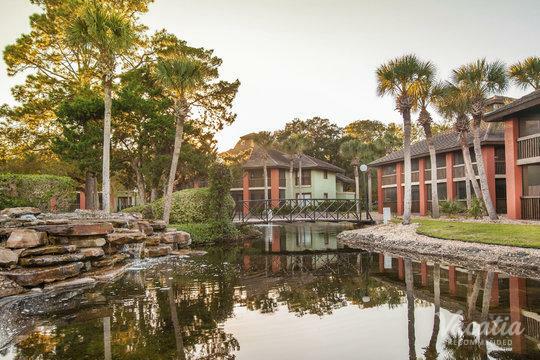 When you book a resort residence with Vacatia, you get the best of both worlds. Daytona Beach is fun for friends, families, and race fans. 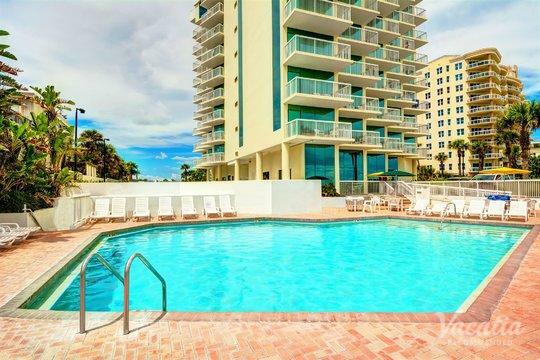 It has great resorts, superb attractions, and the famous Daytona International Speedway, where you can watch the legendary Daytona 500 Nascar race in February. 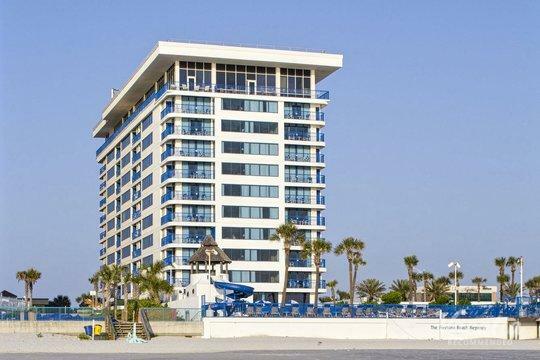 Daytona Beach consists of hard-packed sand, and driving is allowed in designated areas. Daytona Beach's iconic boardwalk is close to many arcades and rides, and the city's band shell hosts free concerts in the summer. A short walk from the beach, the Daytona Lagoon waterpark contains waterslides, laser tag, and go-karts. 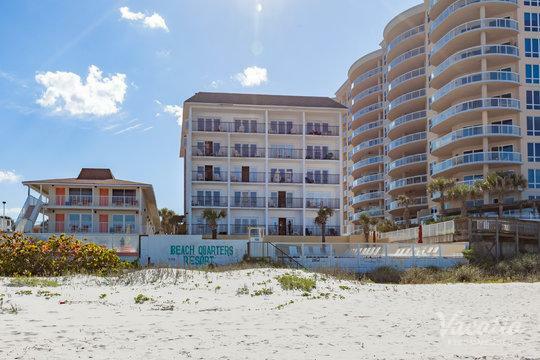 Daytona Beach is widely renowned as a place where you can surf, swim, and drive along the beach, but you don't want to miss the lesser-known gem of the Daytona Beach Pier. This historic site has been recently reopened following $5 million in restorations. 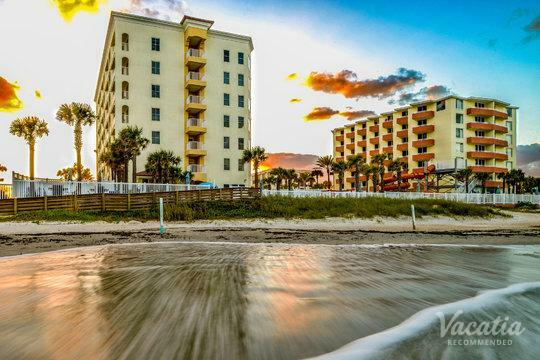 Your days will be packed with fun and excitement, and you'll be glad to return to one of Vacatia's Daytona Beach resorts with a kitchen to relax and recharge in comfort and style.